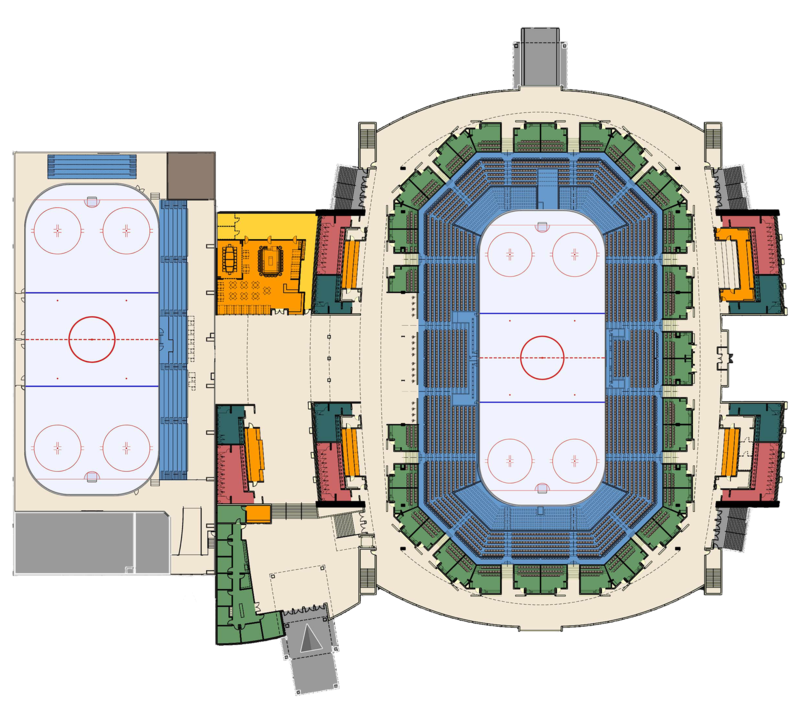 Scheels Arena is a new 5,000 seat hockey arena located in southwest Fargo, North Dakota. Scheels Arena is home to the USHL hockey team the Fargo Force, Fargo high school hockey and many other special events. Welcome to Fargo, college hockey fans! Scheels Arena is a 5,000 seat multi-purpose venue in southwest Fargo. Primarily used as a hockey rink, Scheels Arena has the versatility to play host to a variety of sports and other events such as concerts, trade shows, speaking engagements and more! Other sports that could also utilize the facility include broomball, dog agility, MMA and boxing. Scheels Arena is multi-purpose event facility/hockey rink in southwest Fargo. Within minutes of both interstate I-94 and I-20 and area hotels, it is an easily accessible facility. Add in its large footprint, Scheels Arena is an ideal location for large-scale conventions and meetings.